Gee loves her phone, what teenager doesn’t, but we found the more expensive phones were not designed for all the outdoor equestrian jobs she does on a daily basis, After suffering a cracked screen on numerous occasions, we needed a cheaper alternative that she could carry around with her whilst at the stables. The Alcatel U5 HD is a light weight android phone. The phone has a textured cover, 5 inch display screen and curved edges and is relatively easy to set up by inserting the SIM/micro SD card and charging. When the phone arrived it would not switch on due to no power at all, it took 7 hours to reach full charge. Once the phone is charged you will be notified to sign in to Wifi. You will also need to sign in to google (for this you need an account) and you can create one using a gmail address. The home screen displays all the Apps, battery life, signal etc like all phones and is operated by the touch screen, this can be rotated and made larger by using your fingers on the screen. You can arrange the home screen to your liking by moving the Apps around. You can create and edit the address book with phone numbers and emails, these can be transferred from SIM if backed up prior to installing. Set up is pretty much the same as with other android phones, it can be time consuming if you have not done this previously. 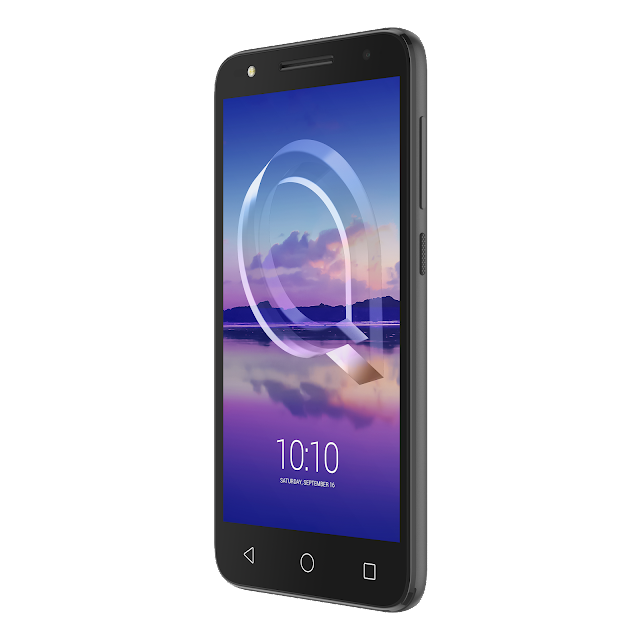 The Alcatel U5 HD has a forward 8MP and rear facing camera with LED flash. The photos are automatically uploaded to your gallery where they can be edited. I really liked the filters that could be used for editing but the photographs were not that clear. The phone also features Face Mask live filters for selfies. For a budget phone it is ok, it does what it says on the box. The camera is quite good and Gee specifically liked the Face Mask filters. You can purchase the phone from Tesco priced £69.00.